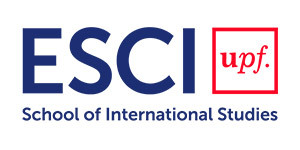 The UNESCO Chair in Life Cycle and Climate Change is based in ESCI-UPF, and has a remarkable experience in the application of the life cycle approach, which is basic for the concept of circular economy, eco-innovation and eco-design for environmental prevention of products and processes. It promotes the dissemination of best practices and cooperation among the value chain relevant players. Among many other European projects, ESCI-UPF coordinated LIFE + FENIX project on recovery process of packaging waste and its life cycle. ESCI-UPF was also a member of LIFE+ HAproWINE, a recent project on obtaining products with high added value from waste wine production, the development of an eco-labeling program, and a sustainability plan for the sector in Castilla and Leon. It is noteworthy that ESCI-UPF has achieved, along with a major consortium, to successfully lead one of the European Commission’s pilot projects for green products concerning the Product Environmental Footprint (PEF), developing the environmental assessment of life cycle in the wine sector. Furthermore, of particular relevance are the following achievements: Environmental Award (2008) and the Energy Efficiency Mention (2013) of the Generalitat of Catalonia awarded for the projects ECOJOGUINA / R-Ciclejoguina and Construction21; Europe Innova Finalist Award of the European Commission for the eco-design project DEPUIS. Moreover, the Director of the UNESCO Chair ESCI-UPF, Dr. Pere Fullana obtained a prize for the best scientific contribution at the World Congress in Life Cycle Management, LCM2009. He is a member of the international committee of the Life Cycle Initiative of United Nations and participated in drafting the GHG Protocol for Products and ISO standards for life cycle. The UNESCO Chair in Life Cycle and Climate Change ESCI-UPF’s role is essential to demonstrate through a life-cycle perspective that the measures proposed lead to a more sustainable practice than the present one.